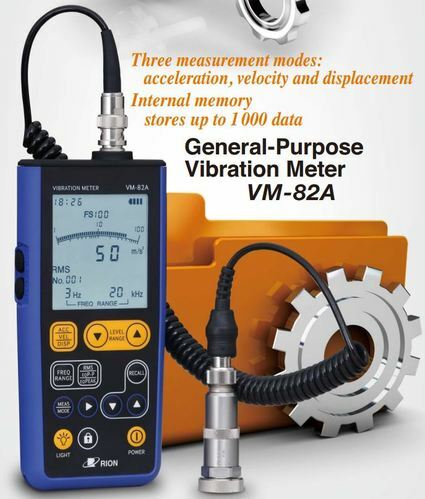 The vibration meter VM-82 is designed for a wide range of industrial applications. 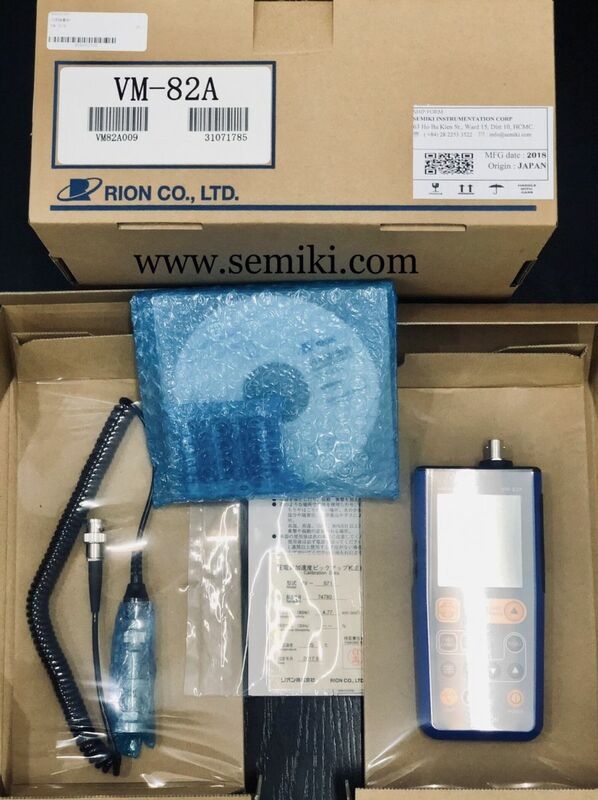 It is particularly suited for routine maintenance and monitoring of rotational machinery, as well as for performance testing during machine development. Acceleration (ACC), velocity (VEL), and displacement (DISP) can be easily measured using a suitable frequency range, allowing comprehensive and precise evaluation of machine vibrations. The large LCD panel containing a numeric readout as well as a bar graph type meter lets the user check vibration fluctuations at a glance. Measurement results can be printed and stored in the internal memory of the unit, for later data processing using a computer.